Dons Piano provides tuning services for many local colleges, churches, schools and other institutions as well as local homes. 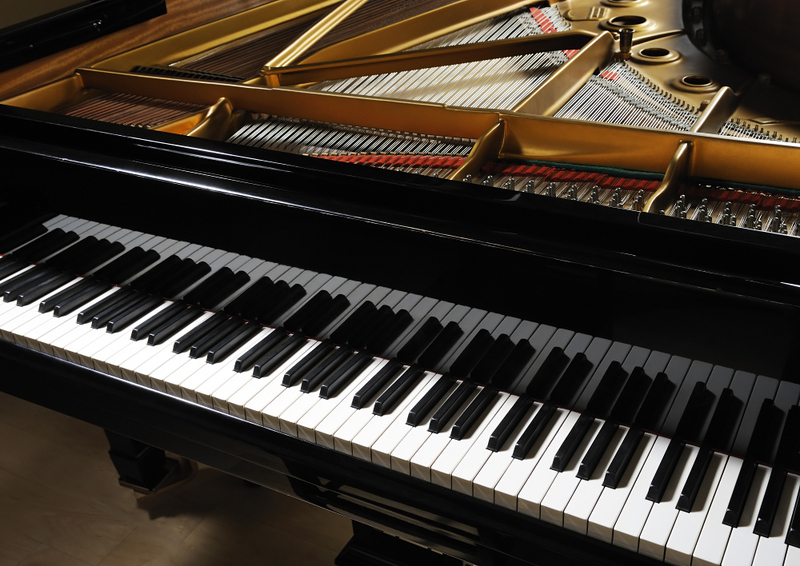 The main advantage you have in hiring Dons Piano for your tuning needs is in Dons complete understanding of the instrument. Since we rebuild pianos from the very ground up, should there be any repair needs on your instrument, you can be assured it will be well within our grasp and ability unlike many tuners that are only acquainted with tuning. 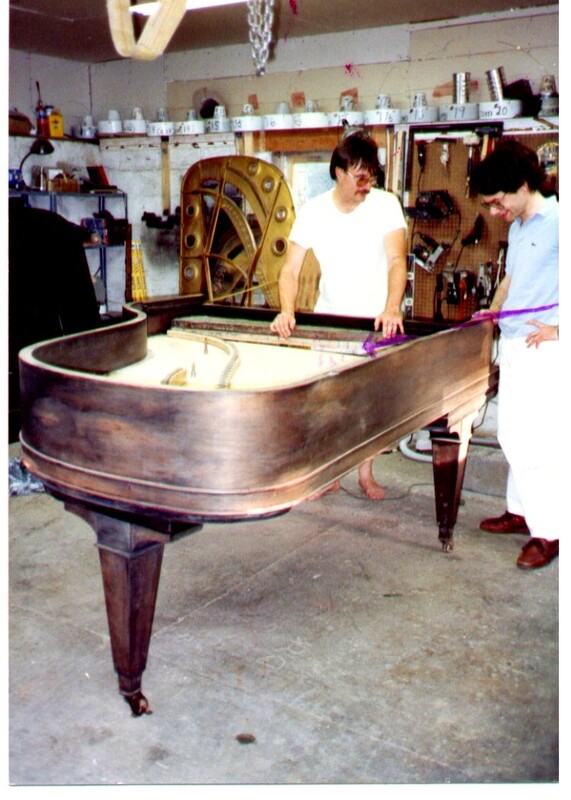 Furthermore, when the inevitable repair issues come up, since Don has such an in depth knowledge of the piano he will be very quick in finding the root cause. Don has been tuning for the local community as well as schools, churches, synagogues and institutions for over 40 years. We must be doing something right. Dons rebuilding knowledge makes him fast in diagnosing problems and this speed means you will not be paying for costly diagnosing time on what are simple problems to Don. Rather than spending a long time in diagnosing an issue, Don can get right to work fixing the problem; this is where you benefit from his experience. Additionally when instances do present themselves where we reluctantly must add additional repair charges, spending less time in diagnosing the problem is to your advantage as well. 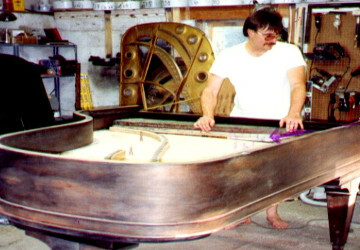 Since Don Is an accomplished piano rebuilder, there are no repairs beyond the scope of his abilities. Like we stated elsewhere under tuning, his vast experience also makes repair diagnosis quicker and therefore you will be paying for repairs, not wasted time searching for answers that less qualified technicians would have trouble with. Although not exhaustive, some of our repairs available to you are. 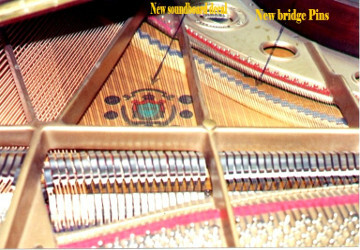 Our rebuilding facility can remove and replace your pin-block, repair your soundboard and restring your instrument back to like new condition. All the felt parts such as hammers and dampers are also a crucial part of any rebuilding project. 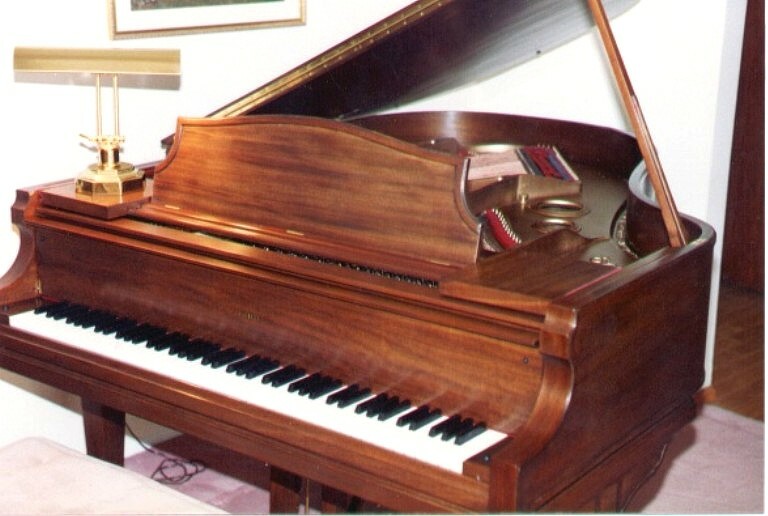 If you have a vintage instrument worthy of such rebuilding Don would be glad to speak to you about the costs and evaluate if such work is warranted. Your final product is always our first concern! We charge a nominal fee for all estimates and apply this cost towards any work you agree on having performed. Therefore in instances where work is performed, the estimate is indeed done at no additional cost. But what happens when the instruments repair casts are more than the value of your instrument or more than you had set aside for such a repair? 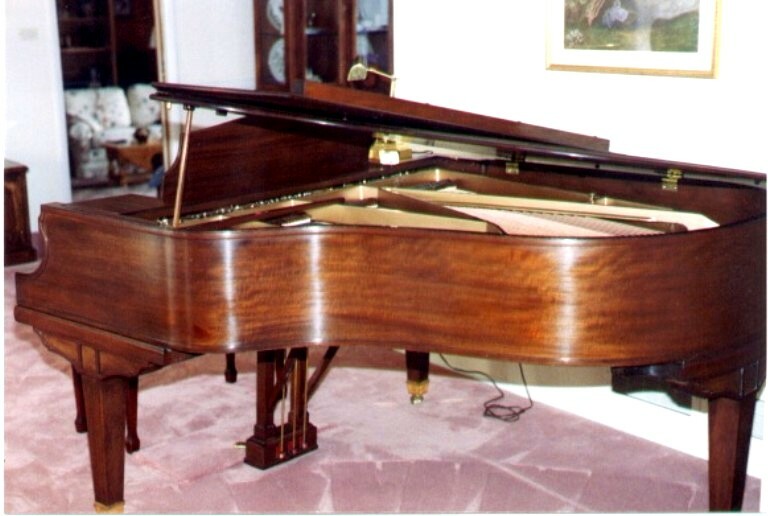 We at Dons Piano believe this protects you as well as assuring you in any situation that you will be getting our complete professional opinion on the costs of repairs and whether your instrument is worth such an expense. When a technician comes upon an instrument in need of repairs beyond the value of that instrument, will the “free estimate” technician tell you the truth, knowing he will not be paid if he tells the unvarnished truth? While I am not calling my competitors dishonest, I am suggesting there is at least a subliminal thought process that would possibly interfere with his judgements in such cases. 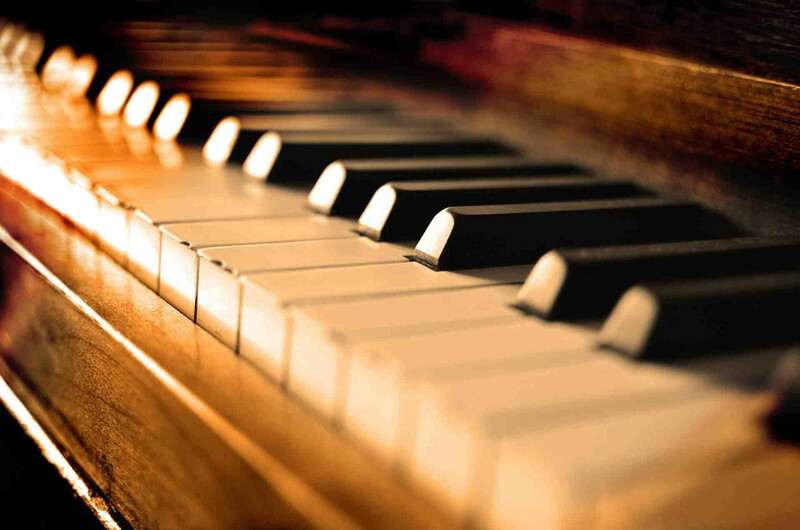 You can be assured, our estimate fees are minor, and we will always completely inform you of the cost verses value of your piano. This is why we feel this policy protects you, the client. We have seen cases where a truthful estimate fee could have saved piano owners money spent foolishly on borderline repairs on borderline instruments, or worse repairs done on instruments that are not even worth the value of the repair. So our answer would be this: “free is not always less expensive, but truthful is always of great value”. 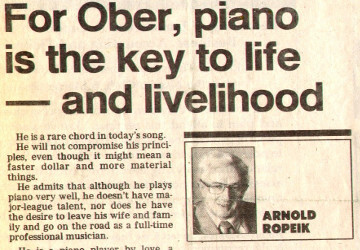 Don Ober has been entertaining and playing professionally for the public all the way back to his first paid gig when he was in the 6th grade at Yardville Heights School for his graduating class. Don can provide you with the following jazz cocktail party entertainment. Also available are Saxophone, trumpet players, and singers ready to join. Take a look at some of Don's work. 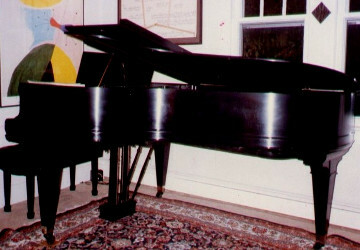 A classic satin black grand piano. Rebuilt by don. 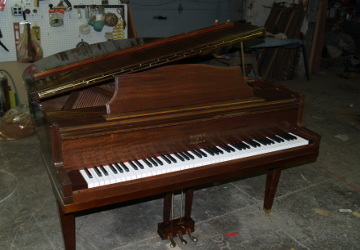 A look at the Mason & Hamlin Grand in the shop. 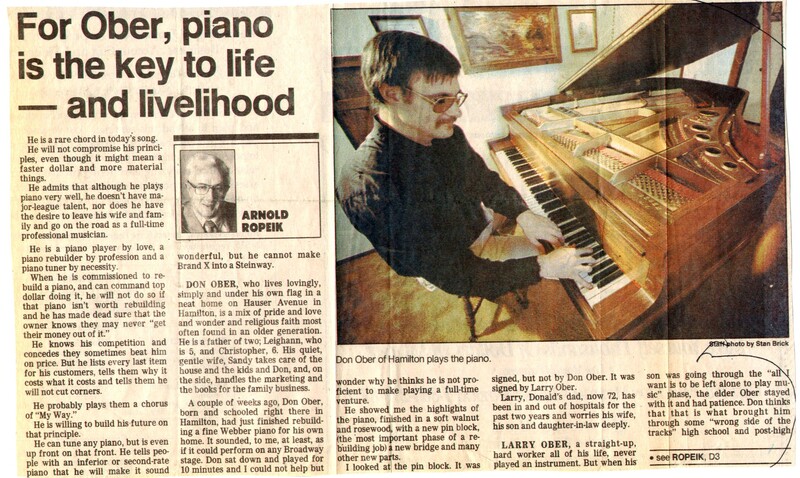 A Trenton Times article written about Don. A rich mahogany Chickering Grand piano rebuilt by don. © 2017 Dons Piano Inc.